For the longest time, I just thought Hot Cross Buns was a song you learned to play on the recorder in 5th grade. 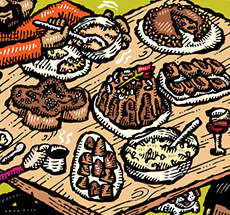 Little did I know these specialties are a quintessential part of the Easter holiday season and a beloved part of Zingerman’s Bakehouse spring Special Bakes (items we only make once in a while). 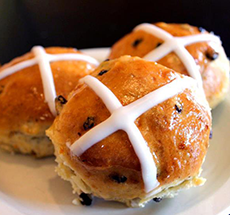 Just as we in the Midwest commence the Lenten season with delicious packzi and other traditions like king cake, Hot Cross Buns are associated with the end of the Lenten season, eaten as a treat to celebrate Good Friday. Each ingredient in the bun is associated with a different part of the Easter story, and there’s quite a bit of folklore surrounding this sweet bun. It’s a tradition that can be traced back to the 14th century! Medieval Englishmen believed these buns had special medicinal properties—the ill who ate a piece were said to make full recoveries! While we can’t attest to the medicinal properties of these treats, we can say they can clear the winter blues. 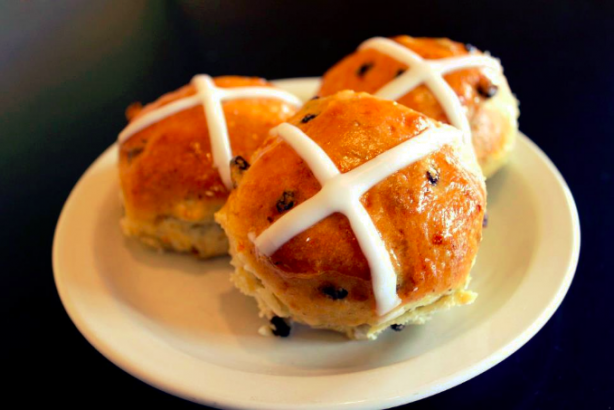 Our Hot Cross Buns at Zingerman’s Bakehouse are soft, yeasted buns made with red flame raisins, currants and candied orange peel, all topped with an icing cross. These delectable breads can be found in England and Australia as early as New Year’s Day, but we only get to enjoy these precious treats four days a year! 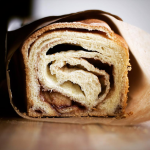 Beginning Thursday, you can find Hot Cross Buns at Zingerman’s Bakehouse or Delicatessen. Available 4/13-4/16. Call 734-761-2095 (Bakehouse) or 733-663-3354 (Deli) to order yours today!